In addition to off-the-shelf embedded computer products, Bagotronix also offers custom design services. One of the biggest challenges faced by the OEM is computer obsolescence. When your embedded computer vendor announces the end of production of a board you use, what do you do? You could choose another similar product, if one exists, and wait for the next end-of-life notification. Hopefully, this new board will retrofit to old machines needing replacement computers. Hopefully, it won't increase the cost of your product too much. Hopefully, you won't have to do a major redesign of your product to accommodate it. Or, you could have a board custom designed for your needs by Bagotronix, and have it produced for you by Bagotronix, or a contract manufacturer of your choosing. This puts you in control - you decide how long the board should be produced. Another big challenge faced by the OEM is economical implementation of application specific hardware. 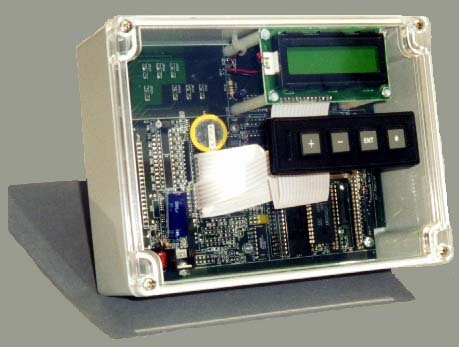 If your application has special requirements for I/O or form factor, a custom or semi-custom design is what you need. Here are some examples of custom designs by Bagotronix. This is a custom DOS Stamp application board. The customer wanted to divide their computing tasks up between 2 DOS Stamps. One DOS Stamp acquires data from GPS receivers and other instruments and processes the data. The other DOS Stamp manages the user interface (a vacuum fluorescent graphics display and discrete keypad). The 2 DOS Stamps communicate with each other by simple peer-to-peer data transfers through dual-port RAM. This segmentation of tasks allows each control program to be smaller and less complex, and independently upgradeable. This is a custom motherboard based on the Intel 486DX2. The customer had been informed by their previous vendor that the 8088 / 8087 microprocessor-based motherboard they were using was being phased out of production. They turned to Bagotronix custom design services for a compatible replacement made with modern parts. 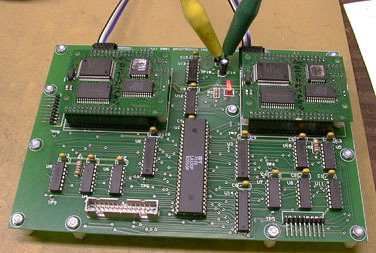 Circuitry from two other application specific boards was also integrated onto the new motherboard, resulting in a significant cost savings. The new motherboard has 6 XT slots, a 486DX2 CPU, 4 encoder inputs, 5 serial ports, 1 printer port, and other application specific circuitry. Let Bagotronix design your board! This is an air quality monitor for air compressor equipment. It has 8 analog inputs interfacing to carbon monoxide and relative humidity sensors. It is a semi-custom design built from a modified version of the Chickadee. 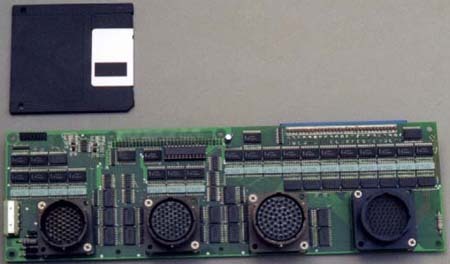 The dimensions of the Chickadee board were expanded and application specific circuitry was added to the perimeter of the board. 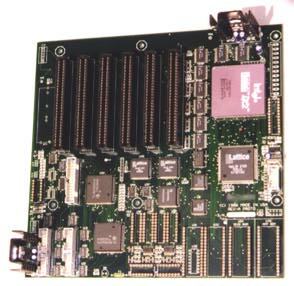 This is an I/O board for traffic control equipment. A full custom design, it has 90+ outputs, 70+ inputs, and 64 input/outputs. It interfaces through an 8-bit PC/104 bus. DiskOnChip® 2000 is a registered trademark of M-Systems Inc.